So work is now underway at the Bonding Warehouse. It has been empty since the floods of 2000. Well, most of the time. It has been briefly occupied several times in the last fourteen years – by builders, for a time, by protest groups on two occasions. By pigeons all the way through all of that. For the last ten years I’ve been taking photos of it, every now and then, and captured some of this recent history. This page covers the years 2004-2007, to the point just before it was sold. 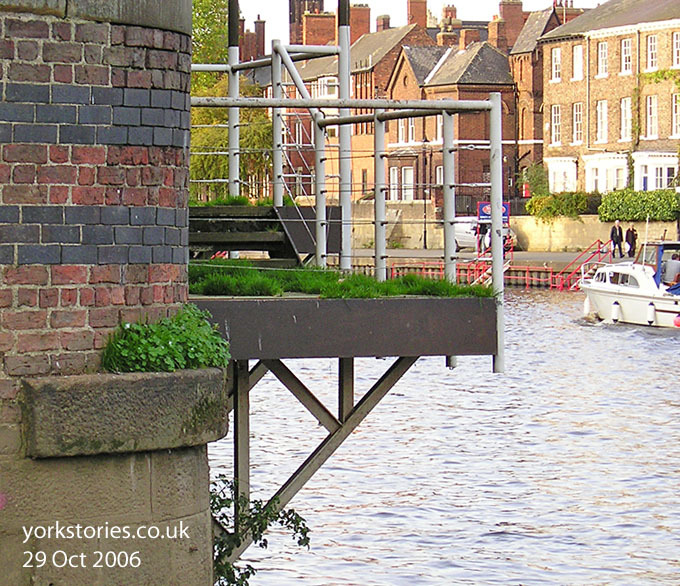 These first photos date from one of my earliest ‘York Walks’ (as I called the first pages of the York Stories website) in 2004. Yes, a whole ten years ago. Though it hadn’t hosted any live music or functions for four years or more, the sign by the door remained. Bright winter sunlight lit the bright green mossy growth covering much of its exterior. An aesthetically pleasing combination against the Victorian red brick, but probably not a good sign. It looked generally mossy and damp, as if it had never quite dried out. As if four year old Ouse floodwater would come flowing out if you opened the door. 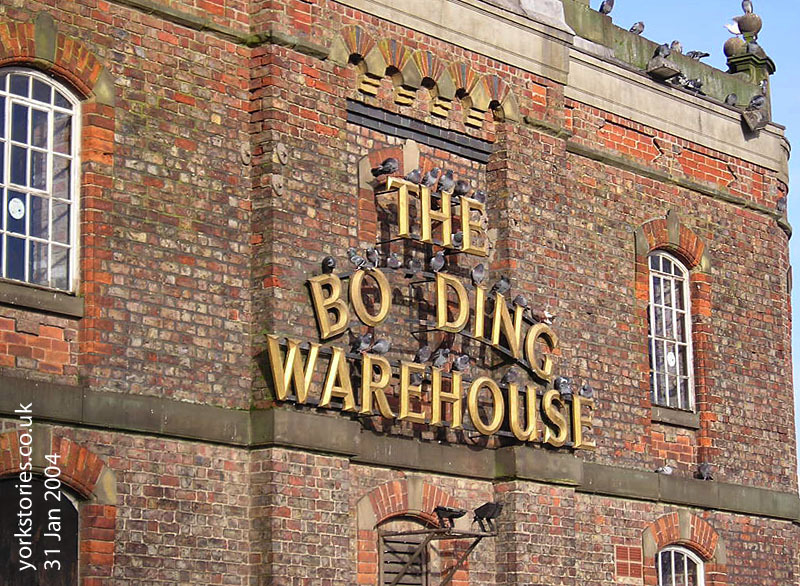 And the famous sign, with its missing letter, so the Press ended up calling it the ‘Bo Ding Warehouse’. Pigeons perching there, soaking up the sun. 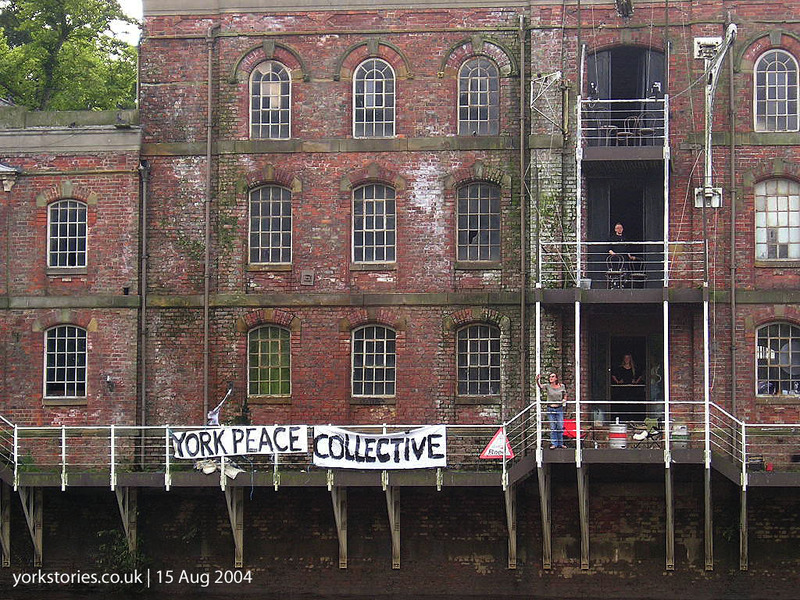 In the summer of 2004 it was opened up and occupied by the York Peace Collective. I went along to have a look but didn’t venture inside, as the atmosphere at that point wasn’t quite as peaceful as the banner suggested. 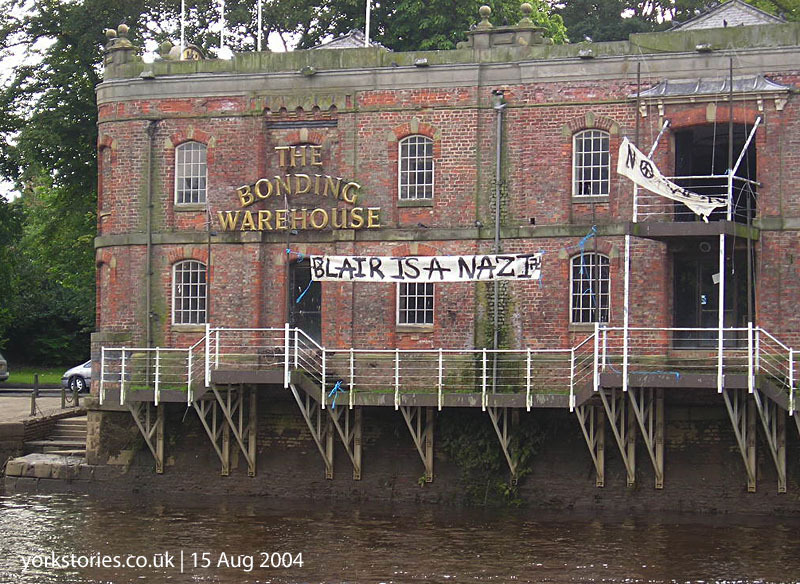 Another banner on the riverside during the 2004 occupation. Remember Tony Blair? 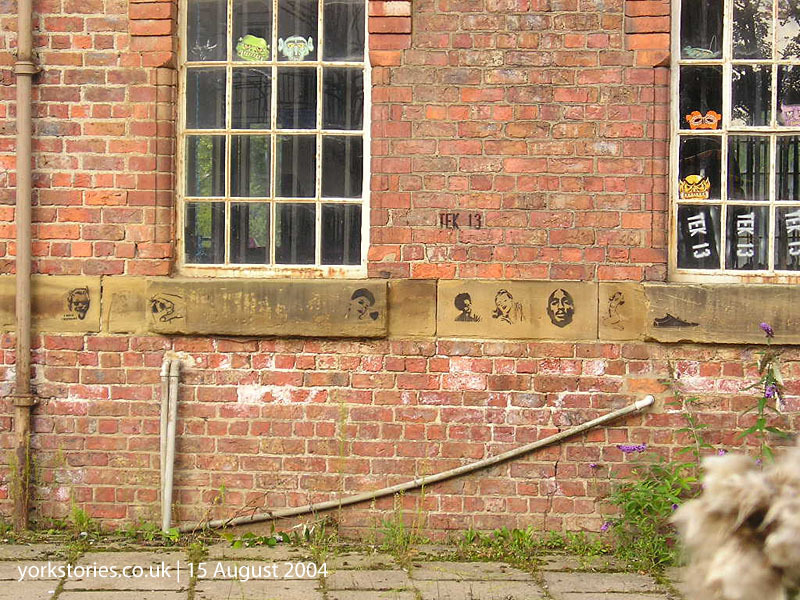 Around the other side, graffiti stencilled onto the stonework. While we humans couldn’t quite decide what to do with it, the pigeons claimed it. 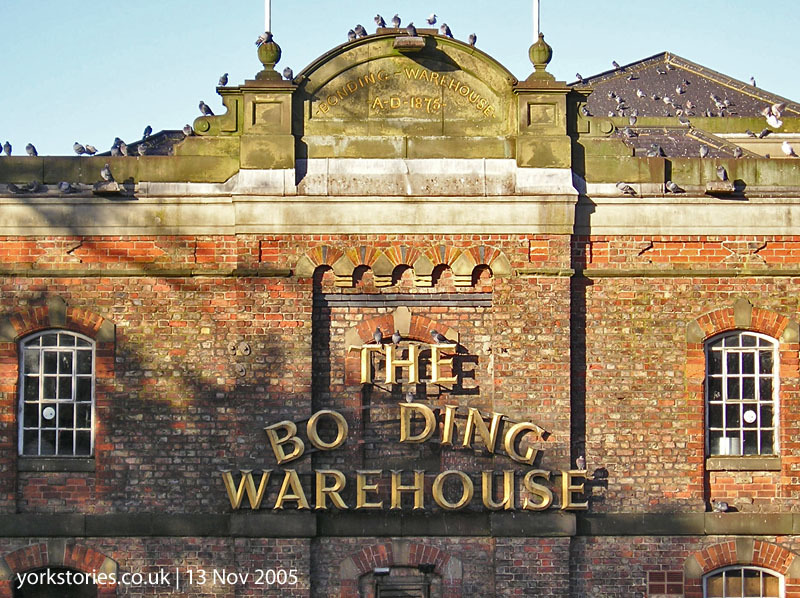 By late 2005 its roof was full of pigeons, and among the huge flock the occasional gull perched at the corners. Nature takes over what we neglect. The building became very wildlife-friendly, growing its own little eco-systems. By 2006 a lawn appeared to have established itself on the riverside balconies. 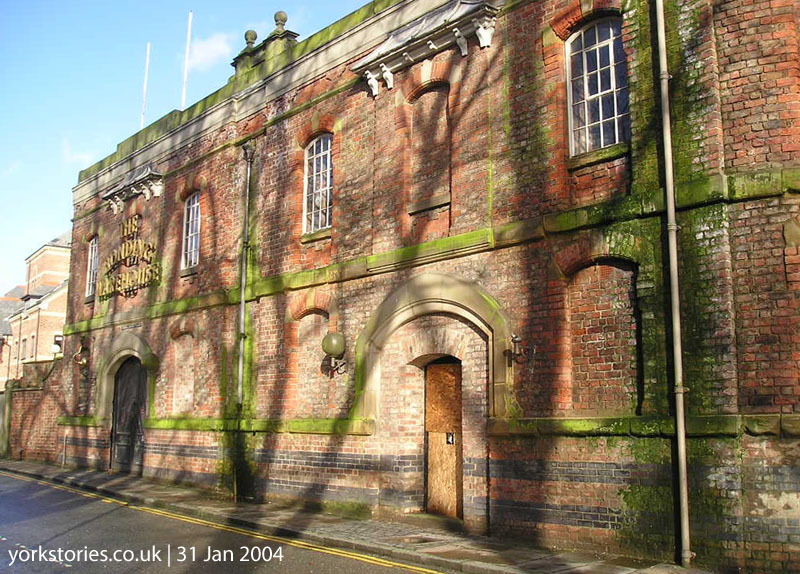 On 13 September 2006 the Press reported that the building was to be sold. That winter, squatters again occupied the building for a brief period (see links, below). 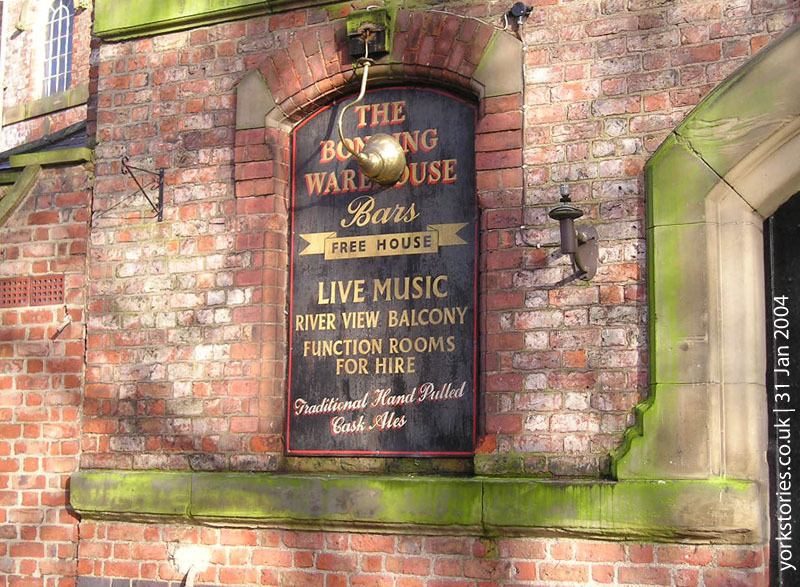 Even if it is eventually sold off, if this function could continue, it would keep a building which belongs to the city, and is bound up with its heritage, accessible to the public. Wasn’t to be. 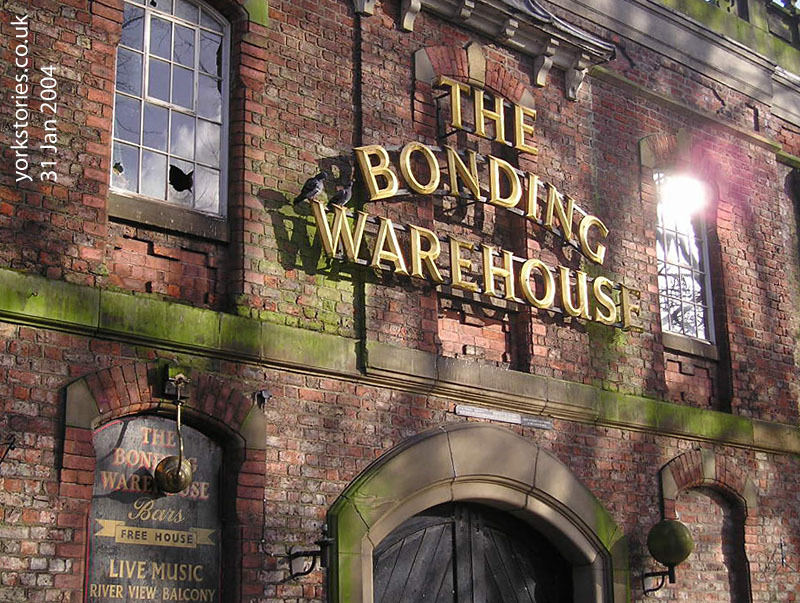 Sadly our Bonding Warehouse is lost to us. Links from The Press in York, with more information on some of the events and developments (or lack of them) during these years.